If you are looking for Dedicated Divorce Solicitors near Coatbridge, please get in touch. Our main office is located in Uddingston and we would be happy to meet you at a convenient location/time. Alternatively we can speak to you via FaceTime or Skype. As our name suggests, we only practice Family Law. This is because we believe that when dealing with such important issues which affect you, your child / children and / or your financial future you deserve to know that the lawyers you choose lives and breathes that area of law every day. We are unaffected by the influence of other departments and pressures, allowing us to focus on the Family Law issues you are facing. Rooney Family Law has been providing services and support throughout Coatbridge for a long period of time we are a well established organisation with a proven track record of satisfied clients and families who have relied upon us to help ease a situation and get what’s rightfully theirs during the uneasy times of separation and divorce. Our expert Divorce Solicitors are here to help throughout Coatbridge and surrounding areas. We specialise only in family law and are experts in all areas and all of the aspects that are involved in such a process. Due to the stressful time it can be going through a separation or a divorce, its best to leave the legal jargon and technicalities to us at ‘Rooney Family Law’ we have a wealth of experience in dealing with such matters and we are here to help. We cater to situations where children are involved and ensure that the divorce or separation proceedings are focused on what is best for the Children’s welfare and best interests. We understand it can be a difficult time emotionally and physically draining, that is why we are here to take the stress of the law side out of it – giving you facts in clear terms so you are fully aware and knowledgeable about your rights and what you are due from any separation or divorce. 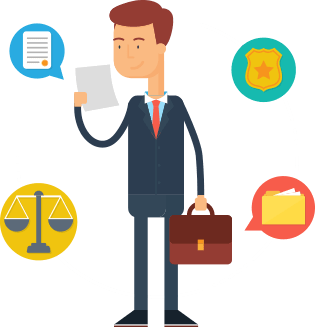 We are here to support our clients and customers and offer a free initial consultation to discuss what you need and how we can help you if we can’t directly help you with your case we are always happy to refer you to one of our many contacts who will be able to, based on your own individual circumstances. Each case and person is different and we appreciate that fact and it is why we treat all of our clients with the utmost care and consideration when dealing with your case, getting the best for you and your family throughout the Coatbridge area.